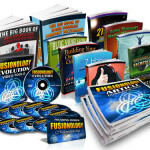 In this guide, I will teach you how you can make money online selling eBooks . 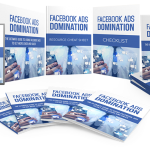 Recently, I launched my first ebook on the topic “ZERO COST TRAFFIC TACTICS” This eBook revealed how you can get tons of traffic to your website for free without paying a dime. I have sold over 60 copies so far at the cost of N2,500 each (about $7). 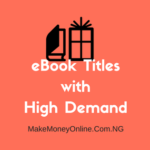 I now discovered that there is money in ebook selling and that’s why I have decided to share the knowledge with you today. eBooks are electronic books in the form of PDF or kindle. It makes an integral part of information marketing business. Just like a physical book, eBooks can cover any kind of topics in all walks of live. A typical example is the first eBook I launched, I took time to compile the ideas I used to generate web traffic to my blog like this one you are reading now without paying for advertising. The information in the eBook are very useful to those who want to generate traffic to their websites. Reasons Why Should you Should Sell eBooks Online? What Type of eBooks Should I sell Online ? The best type of eBook you should sell online is the one that provide real value to the buyers. What I mean is that the information contained in the eBook should do what it was meant for and not to deceive or trick the buyers. Like I said earlier, eBooks can be in any topic ranging from childbirth to burial ceremony and in anything in-between that. See for instance, In one of my blog – InfoGuideNigeria.com, my readers are asking me to write eBooks on how to start a filling station in Nigeria. Other topics are, Starting TV station, Start Telecom Company like MTN, Cookbooks, Travel guide… and so on. So there are ready-made market to buy these eBooks from me if I had written them. 1. Write your eBook: You can choose to write your own eBook on any topic that interest you. This is good if you really understand the topic that you want to write on. Forget about the jargon, simply write the information in Microsoft Word and turn is into PDF and sell. 2. Hire Someone to Write eBook for you: If you cannot write your eBook yourself, you can hire a freelance writer to write for you. Just tell them your topic and your areas of interest and they will write the eBook for you. The cost of hiring a freelance writer may be exorbitant anyway. 3. Use PLR eBooks: These are eBooks that you can buy from somewhere and resell to others without being penalized. PLR means Private Label Right. This right give you allows you to edit and sell the eBook as if you are the one who wrote it. 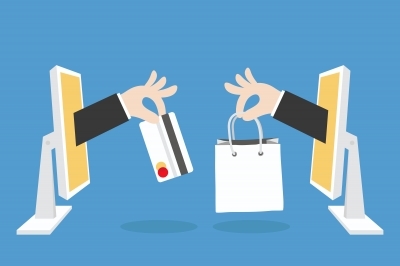 There are many ways to sell your eBooks online if you have them. For me, I decided to create a sales page for my eBook stating the benefits of the product to your potential buyers. Do you have a eBook already? If yes, you can hire me to create a sales page for you. There are many ways to sell your eBooks online. You can sell your eBooks directly on your blog by allowing your buyers to buy your ebook online using their ATM card. But for me, I prefer a phone order. You can also create a blog for your eBook. 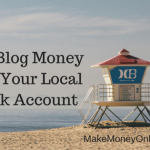 This will help you to attract other blog readers to see your products. 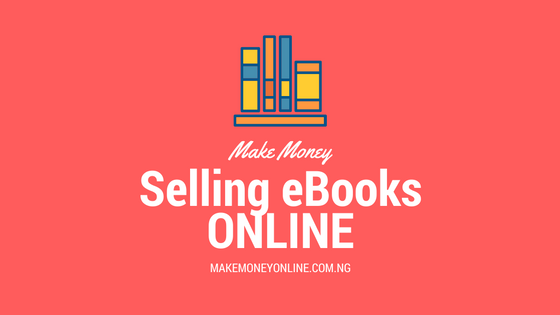 You can sell your eBooks on per-existing online stores such as Amazon, Clickbank, Konga, Jumia stores. Take Action Now! What are you waiting for? 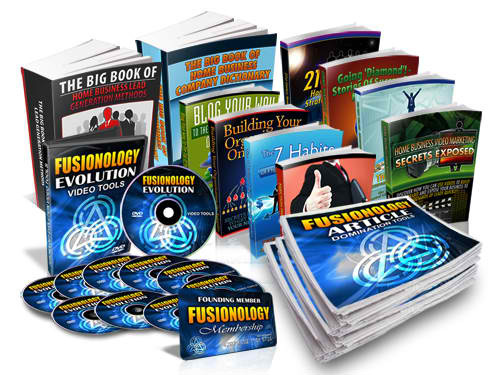 There are many topics you can write your eBook and sell online and many people will by it. Want to make money? This might be a very good online business idea to start. What do you think? am really surprised that am reading all of this for free. i really appreciate your effort to help with this great selling ideas. i really love it.. God himself will reward you. thanks. Hello Amara, Just write and eBook on an interesting topic and sell it to others. That’s it! THANKS FOR YOUR INFORMATION. YOU ARE A SUCH A TALENTED PERSON. KEEP IT UP. BUT CAN WE CHART VIA WHATSAPP? Sir pls I tried creating an adsense account and couldn’t. Where to add my account information is not showing up. Yes it’s because you blog is still new. COntinue to publish helpful articles and try again after two months. Success! Bros am a good writer. I had written many audience and AFrican play and prose that I hoped would win many audience and I wish to explore my work. how will you help me sir. Hello Njoku, all you need is to hire me to create a blog for you. With such a good writing skill, the sky will be your starting point. Take action fast delay is not ver helpful. sir i am greatful for the knowledge you are impacting the life youth in this great country nigeria. i am interested to be a writer, but how can i start or know how to generate a topic? should i start by saying ” life in a difficult times” as my topic? if yes then how can i develop it?. thanks, waiting for your view. Hello Emmanuel, it’s quite easy to come up with an ebook topic. Simply look around your community to discover common problems faced by people. The solutio to the problem could be the ebook topic and contents. A typical example of a serious problem is malaria – so if you compile “Herbal Remedies for Malaria” that could become a very nice eBook topic. That’s how to come up with a good eBook topic. Let me know if you need more help. Hello Rex, you dont need to loose money. All you need to do is to build a buying audience online and make money from it. Simple! Indeed selling ebooks is the way to go.We following your footsteps. Thanks for sharing. Will purchase the book when I have cash… I really want to know how to drive traffic to my website.